THE PATH OF THE WARRIOR AWAITS AT NINJA FEST 2019. Ninja Fest at Lake Frances is kicking off its fourth season this summer. Ninja Fest is located on 150 beautifully wooded acres in Crossville, TN. 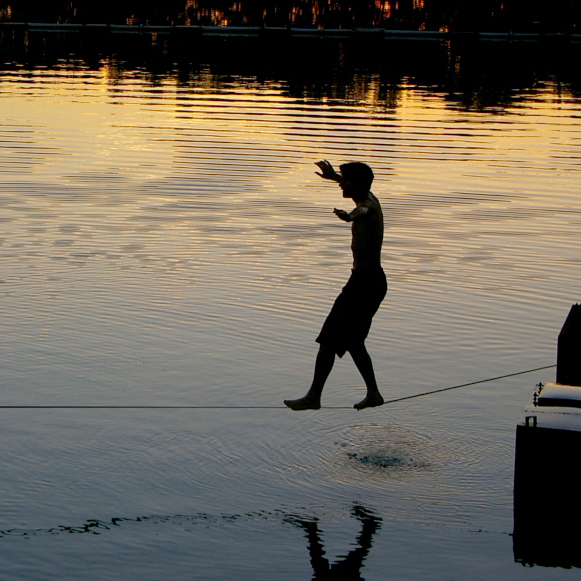 Lake Frances, a private 32-acre lake, makes the site one of the most picturesque camps in the country. Ninja Fest runs in conjunction with Flip Fest Summer Gymnastics Camp, one of the premier gymnastics camps in the country and the only camp owned and operated by two Olympians, John Macready and John Roethlisberger. 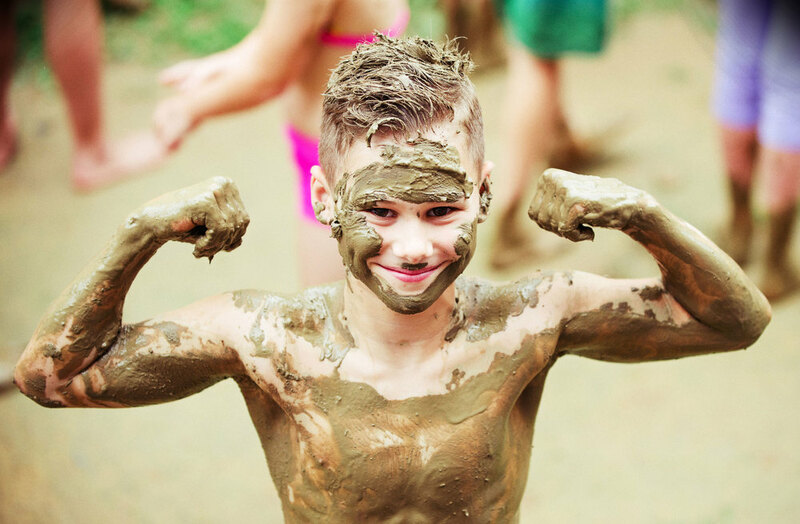 Ninja Fest is designed to bring to life everything kids love to do—running, jumping, climbing, flipping and becoming a ninja warrior. Campers will be tested and inspired by obstacles and challenges both within our 26,000 feet of indoor gym space, and throughout the amazing and adventure-inspiring Lake Frances property. Our goal at Ninja Fest is for new Ninja Fest Warriors to not just leave better athletes and for them to conquer their training goals, but to leave empowered, believing that, with hard work and perseverance, they can conquer any challenge that life puts in front of them. Do you have what it takes to be a Ninja Fest Warrior? off Interstate 40. Campers should fly into Nashville International Airport BNA. Crossville, TN, is within a day’s drive from 70% of the US Population. Don’t feel like driving? There are great deals to fly into Nashville. Camp is in the central Standard time zone (CST). Training will be led by American Ninja Warrior participant and former elite level gymnast Spencer Johnson. Spencer has the unique ability to create an awesome camp experience while also challenging campers to push their physical limits. 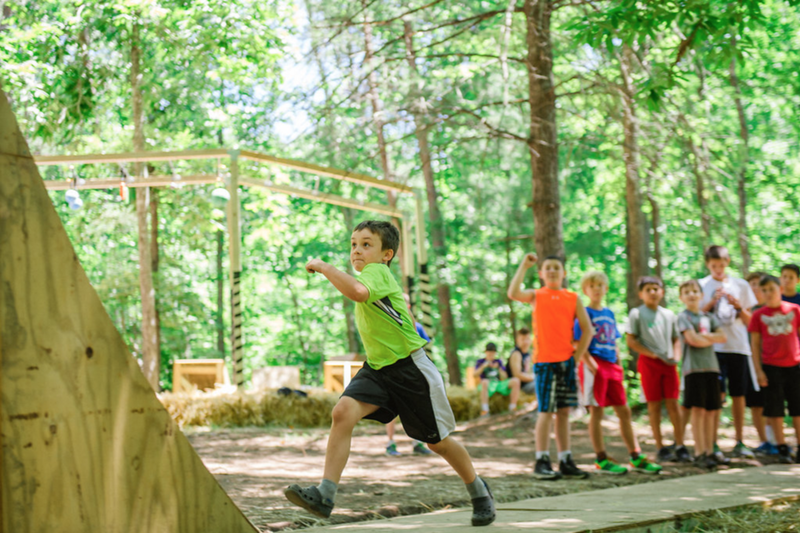 Campers will participate in unique ninja obstacles, and will also have access to loose foam pits, trampolines, ropes and the gymnastics equipment also used by ninja warriors. *Week Eight only: Come train exclusively with The Island Ninja, Grant Mccartney. 2015 American Ninja Warrior, a two time National finalist, elected for the All-Star team back to back, twice chosen for Team Ninja Warrior as well as NBC's Spartan: Ultimate Team Challenge. 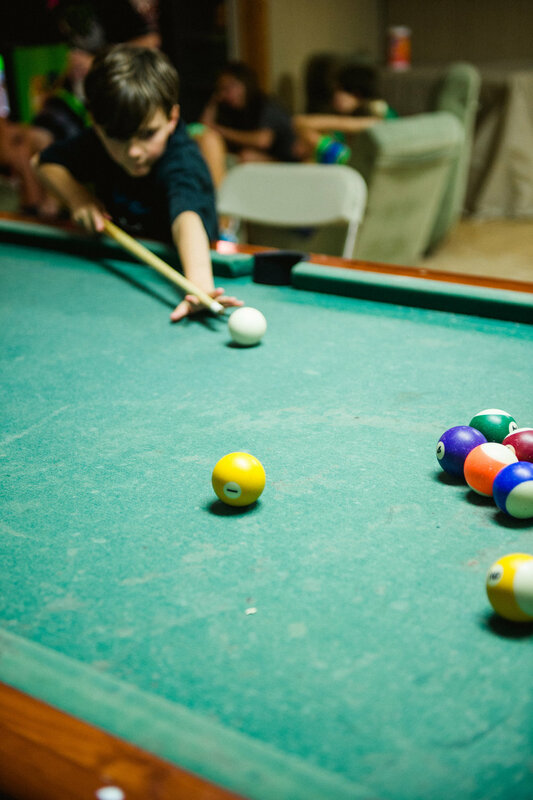 A typical week of camp will include scheduled daytime activities, both inside and outside of the gym, as well as an evening all-camp activity each night. 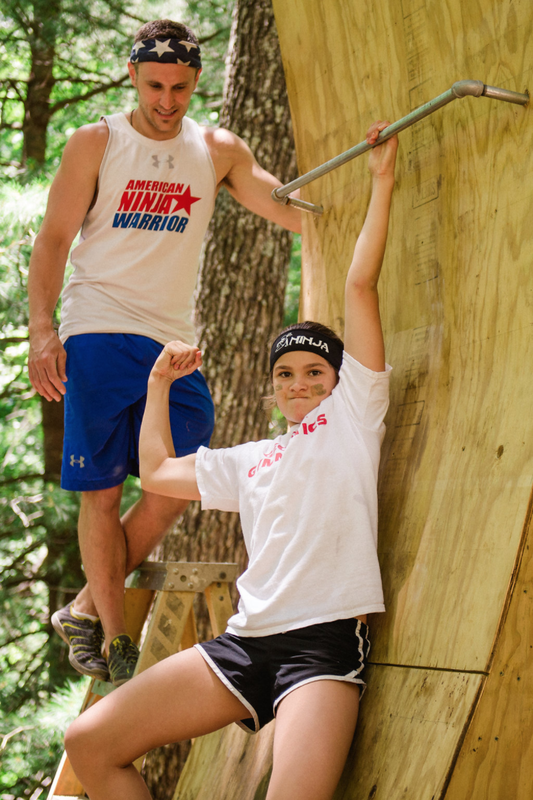 Monday through Friday, campers will kick off the morning with outdoor challenges and obstacle course training. Afternoon training will move to the gym, taking advantage of all the pits, bars, trampolines and mats. Campers will get a chance to participate in the high ropes course, laser tag and lake activities, including tubing behind the jet skis, canoeing, water slide and swimming. Evenings feature an all-camp activity for both the ninja campers and gymnastics campers. 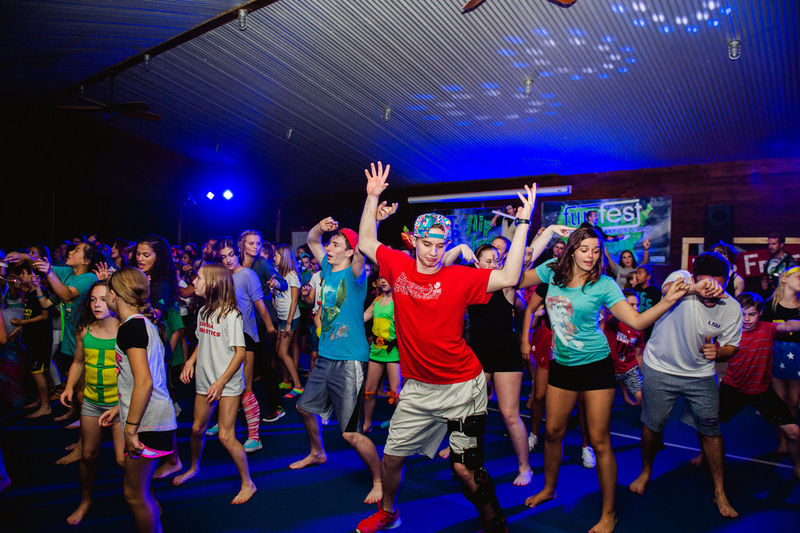 Monday is the greatest all-camp dance. The haunted hike will be Tuesday evening. Wednesday will find campers undertaking the ultimate scavenger hunt. Show the week-long culmination of your skills on Thursday at Skit Night in the gym. 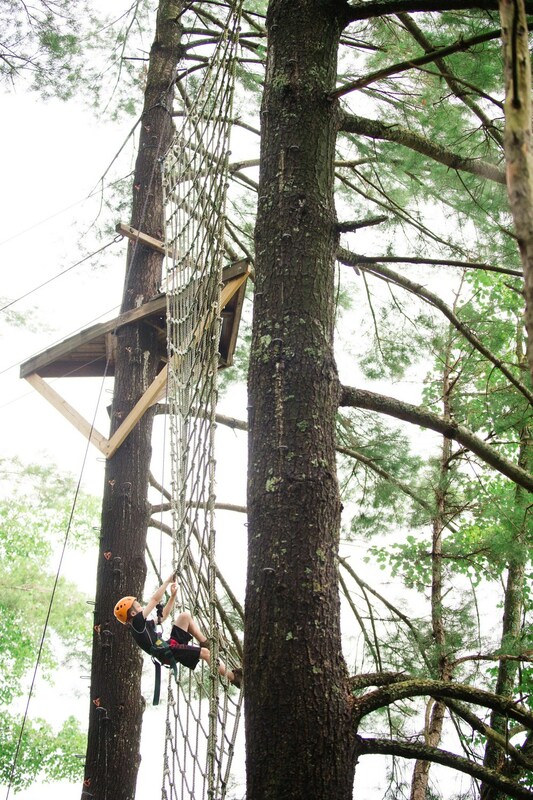 Ninja Fest maintains the beauty of the natural surroundings while providing the best amenities for campers and staff. Below are just some of the awesome activities campers will have the opportunity to do during their week at Ninja Fest. We house campers in comfortable cabins, each supervised by a counselor. Every cabin is equipped with complete restroom facilities and central heat and air. We house girls and boys in separate cabins with other campers of similar ages. Upon check-in, parents may help move their children into their cabins and meet the counselor who will work with their children for the week. All meals for campers are prepared fresh daily in our on site kitchen. Lunch options vary from grilled chicken/beef soft tacos, chicken nuggets and a sandwich bar to name a few. A typical dinner would be grilled chicken, fresh steamed broccoli, roasted potatoes and a whole wheat dinner roll. We offer fruit at every meal, as well as a salad bar at lunch and dinner. WHAT IS THE COACH-TO CAMPER RATIO? At Ninja Fest, we maintain a better than 8-to-1 camper-to-coach ratio to ensure all campers get the attention they deserve. Their cabin will hold up to 18 campers and their counselor for the week. Each cabin has air-conditioning and its own private bathroom facilities. CAN YOU PICK UP/DROP OFF MY CHILD AT THE AIRPORT? If your child needs to be picked up from Nashville International Airport BNA please contact Anderson’s Shuttle Service at dka571@gmail.com or call 931-707-1953. Campers must arrive at the Nashville Airport by 12:00 noon CST on Sunday and depart after 4:00 p.m. CST on Friday. WEEK 1-11: Early bird price of $899 if you register by February 14th. After February 14th the cost is $950 per camper. A $200 deposit is required PER WEEK of camp. We will deduct the deposit from your child’s tuition balance. In an effort to continue the personalized service and unique camp experience of Ninja Fest, we are limiting each week of camp to 20 campers. Space is limited so please register early. We will refund all payments except a $50 processing fee to campers who scan and email the Cancellation Notice Form to Info@flipfest.com BEFORE April 1, 2019. We will refund all payments except the $200 deposit to campers who scan and email the Cancellation Notice Form to Info@flipfest.com AFTER April 1, 2019. NO REGISTRATION AND CAMP FEES ARE REFUNDABLE WITHIN 14 DAYS OF CAMPER’S SESSION. We will not give refunds to any camper who withdraws anytime after arriving. We do not give discounts to any camper who arrives late or departs early. All campers must be covered by their own insurance. Injury: For cancellation due to injury please attach a Doctor’s note to the cancellation notice documenting the injury. Payments that are nonrefundable in accordance to the cancellation policy will be credited for the following summer.